At the heart of Instagram you will find originality, creativity, and inspiration. Unlike other social media sites like Facebook, there is no secret system to learn. There is simplicity to Instagram; there is purity. People follow pages that they are drawn to. Maybe that is what is attracting so many people to join. What does this mean for a business? How does a brand fit into the heart of Instagram and find itself successful? Growing a loyal following as a brand can be difficult, and it isn’t something that happens overnight. There is no secret formula that will help you accomplish this task. 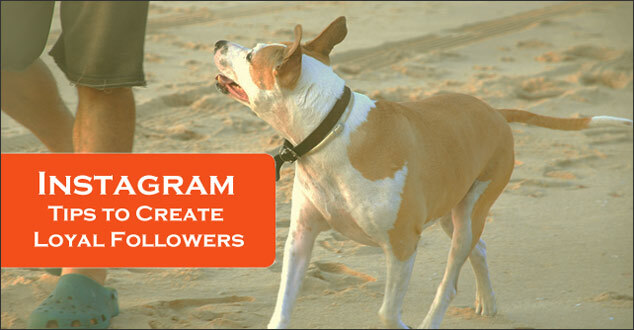 However, here are 5 key tips that will help you to gain a loyal Instagram following. Getting quality followers on your page needs to be in the forefront of your mind. A quality follower is one that is attracted to your posts. They have an interest in what you are doing, they post and engage on your page, and they have the potential to buy your product. This follower will be a loyal follower as well. They will not just like your page to gain a like in return, and then unfollow you. To track your following, you can use a number of third party applications. Check out our blog post, Top Secrets to Successfully Manage Your Instagram Accounts, for more ways to track your following. In Huffington Post’s article, How to gain your Instagram Following, author Helen Anne Travis interviewed photographers who are seeing huge success on Instagram. When asked what their advice would be, one huge theme came out – be yourself. In other words, the photographers are encouraging others to find their own voice. They go on to share that they have stopped worrying about how many followers they have, but focus on developing their voice, and posting photos that they themselves like. Having a clear voice and purpose will automatically compel others to be attracted to your page. While this may be an easy idea for photographers to apply, what does this mean for your business? If you are going to use Instagram for your business, you must fit into that heart of originality and that means you must have a strong, developed voice for your brand. When you know yourself as a brand, and you stop trying to be what you think others want to you to be, people will want to follow you. Staying true to your brand and your purpose will help your followers know what you expect and welcome your voice and your posts. For a more practical why to help expose your page is to utilize the hashtag. There are two ways that you should be using hashtags. The first is by finding creative hashtags that will connect your post to others that might be interested in something similar. The goal is to expose your post to others who have not seen you before. Using generic hashtags like, “Love” or “Blessed” are not going to be ones that will give you a loyal following. To take this idea even deeper, developing an entire hashtag strategy could be very beneficial for a brand. It might take some time and experimenting, but the payoff will be worth it. The second way to use hashtags is by creating “Branded Hashtags.” This is the opportunity for a brand to create their own hashtag that allows not just themselves, but their followers and all of Instagram to hashtag their name. For example, if a blogger would like to promote her blog, she might create a hashtag with her site, or her name. Serious brand loyalty is what a businesses are looking to accomplish. Engagement is not just liking a person’s post, but commenting. Instagram allows for direct messaging as well. Another way to help engage with other followers is by using the “Explore” option on Instagram. This will allow you to see what people outside your following are posting. Clicking on these photos and liking and commenting on them will help to expose you and your brand to those outside people who would normally see your page. Seeing a page with little engagement and a lot of followers might raise suspicion to the legitimacy of that page. Engagement is a key component to growing a deep and loyal following. One way that I try to make engagement a priority is to actively schedule engagement into my marketing plan. This way I know that I will have the time planned for it, and I can give it my undivided attention. This might be the most important step when using Instagram. It can feel like Instagram users effortlessly come up with incredible photos. I am sure they will tell you that can’t be further from the truth. Taking the time and energy to put in original, quality content is what is going to be the number one reason people follow you. When people like what you are putting out, they will follow you, and they will continue to follow you. A few ways to create great content for your business is to work as a team and get other people’s input and ideas. One company ran their own social media contest among their employees. Another way to create great content is to spend the money for a photographer. Having a folder of great photos of your product will give you the quality posts you are looking for. Instagram is not a site for the faint of heart. Instagram demands for you to dig deep into the heart of what your brand is about; what it is that sets you apart from other brands. When your brand makes the effort to fit into the heart of Instagram, the payback can be totally worth all your effort and energy. Are you using any of these strategies? Which one did you find to stick out the most? I would love to hear your thoughts.